The ECB proposed removing “deposit insurance” for bank deposits. Put another way, the ECB wants to make it so that if an EU bank fails, the individuals who keep their savings in the bank lose everything. 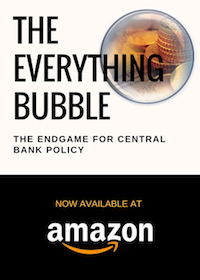 In legal terms, this means that the ECB wants to do away with deposit insurance entirely, Instead, the ECB proposes that should an EU bank fail, the amount of capital you can access would be both “limited” and at the sole discretion of an authority. Let’s say you have €10,000 in a bank account at a bank that fails. According to the ECB’s proposal, if the monetary authority decides you should only get €1 back… that’s all you’re getting. 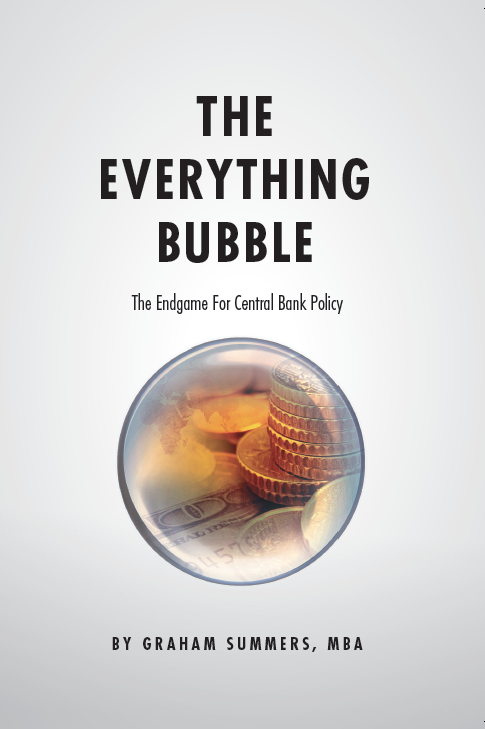 We covered the risk of “bail-ins” and other wealth confiscation schemes in our bestselling book The Everything Bubble: The Endgame For Central Bank Policy, and judging by this recent development, we’re much further along in the financial collapse than most realize. Where are things going ultimately? The bottom chart tells us. 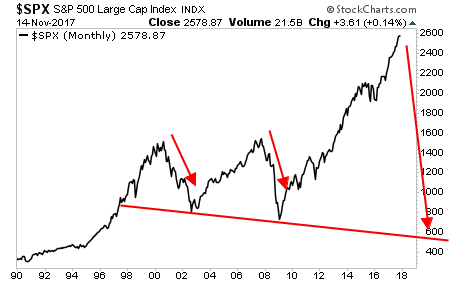 Will Rising Rates Burst the Stock Bubble?